It can help fight cancer: This herbaceous plant is a particularly rich source of glutathione, a detoxifying compound that helps break down carcinogens and other harmful compounds like free radicals. 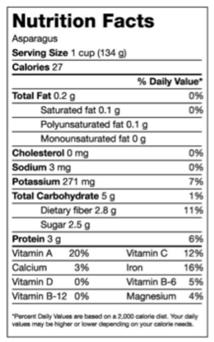 This is why eating asparagus may help protect against and fight certain forms of cancer, such as bone, breast, colon, larynx and lung cancers. Asparagus is a brain booster: Another anti-aging property of this delicious spring veggie is that it may help our brains fight cognitive decline. 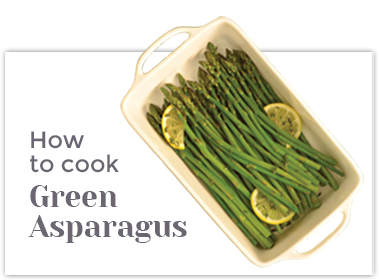 Like leafy greens, asparagus delivers folate, which works with vitamin B12—found in fish, poultry, meat and dairy—to help prevent cognitive impairment. It can help you meet your weight-loss goals: Not only is asparagus low in fat and calories (one cup sets you back a mere 32 calories), but it also contains lots of soluble and insoluble fiber, making it a good choice if you’re trying to lose weight. Because your body digests fiber slowly, it keeps you feeling full in between meals. It can help with a healthy pregnancy: There is a significant amount of folate in asparagus, making asparagus an important vegetable choice for women of childbearing age. Folate can decrease the risk of neural-tube defects in fetuses, so it’s essential for women who are looking to become pregnant to get enough of it. 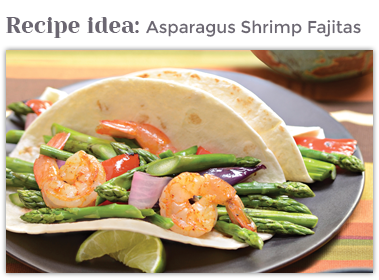 Asparagus is best cooked the day it’s purchased, but you can keep it fresh in the fridge for up to a week. You’ll want to remove the rubber bands right away; they make the spears sweat and spoil more quickly. Trim about an inch from the stem end, wash the spears and pat dry with paper towels. Stand the stalks up in a glass with a few inches of water in the bottom as you would a vase of fresh-cut flowers; this allows them to retain their flavor and texture a lot longer than if you just toss them in the refrigerator or leave them out on the counter. Cover the spears loosely with a plastic bag to help trap the moisture, and you’ll be set.